Recent studies show that the demand for affordable and accessible Senior housing are going to increase dramatically as the population of Seniors nearly doubles over the next 30 years. Growth will be fastest in the next 10 years, so if you anticipate the need for this kind of housing for yourself or a loved one, now is the time to begin planning to either age in place or secure appropriate housing before it becomes much harder to find. Options such as Universal Design may become more common, but properties designed with accessibility in mind will be in greater demand, so plan ahead! An exploding senior population and demand for accessible, affordable housing for that demographic presents some challenges. Explosive growth – Over the next two decades, the aged 65 and older population, will increase by more than 30 million to reach 79 million. Half of that growth will take place in the next decade. The 80-and-over population will double between 2015 and 2035 from 12 million to 24 million. Disabilities – The number of seniors with disabilities, whether physical or cognitive, also will expand. By 2035, the number of older people with a disability will increase by 76 percent to reach 31.2 million. Demand for accessible housing: It’s no surprise that demand for accessible housing will increase, especially since people typically want to live independently for as long as possible. Universal design: Though assistive devices, technology, and universal design principles can make aging in place longer a reality, only 1 percent of the current housing stock, finds JCHS, have all the features that make homes accessible for those with disabilities. Location and accessible communities: Being able to age in place well also requires an age-friendly community that includes accessible transit, the ability for people to be engaged with others, and have access to daily needs, such as doctors and grocery stores. But right now, half of today’s retirees are aging in areas lacking reliable public transit, leaving them dependent on a car for transportation. In the long haul, innovations like driverless cars, telemedicine, and online shopping may ease those “access” challenges of daily life. Yet those innovations do little to ease seniors’ isolation. 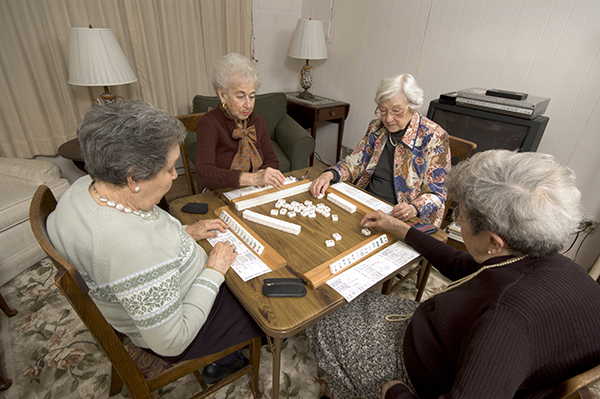 Though individuals can take solid steps to plan for aging by choosing an accessible location when they downsize and opting for universal design features, for example, much of the long-term solutions for senior housing depend on the private and public sectors making senior housing a priority.